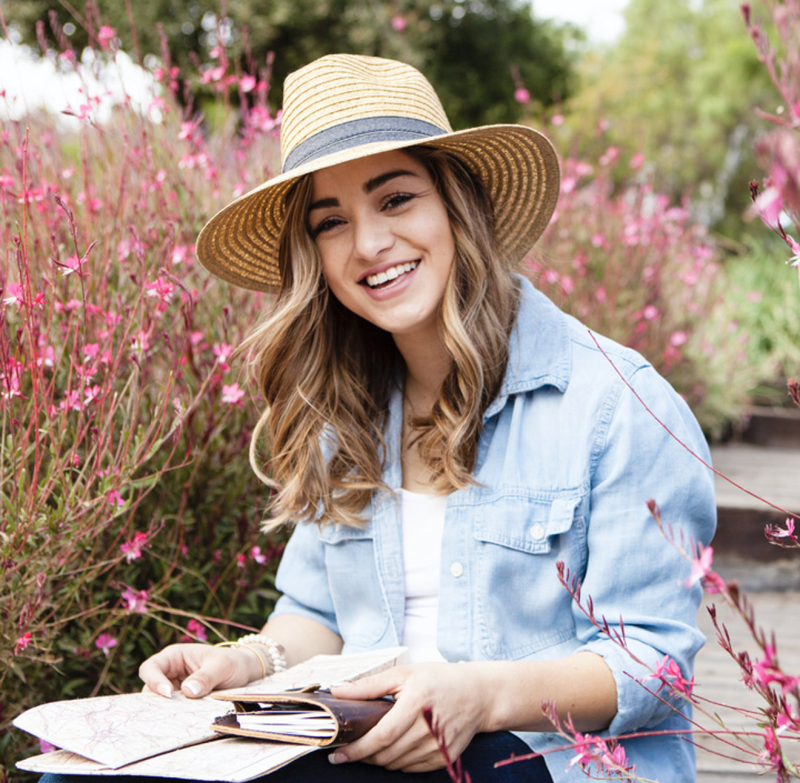 Today we are showing you how design team member Jomelle @xoxo_jomelle customizes her Sophie Travelers journal using Love Story. 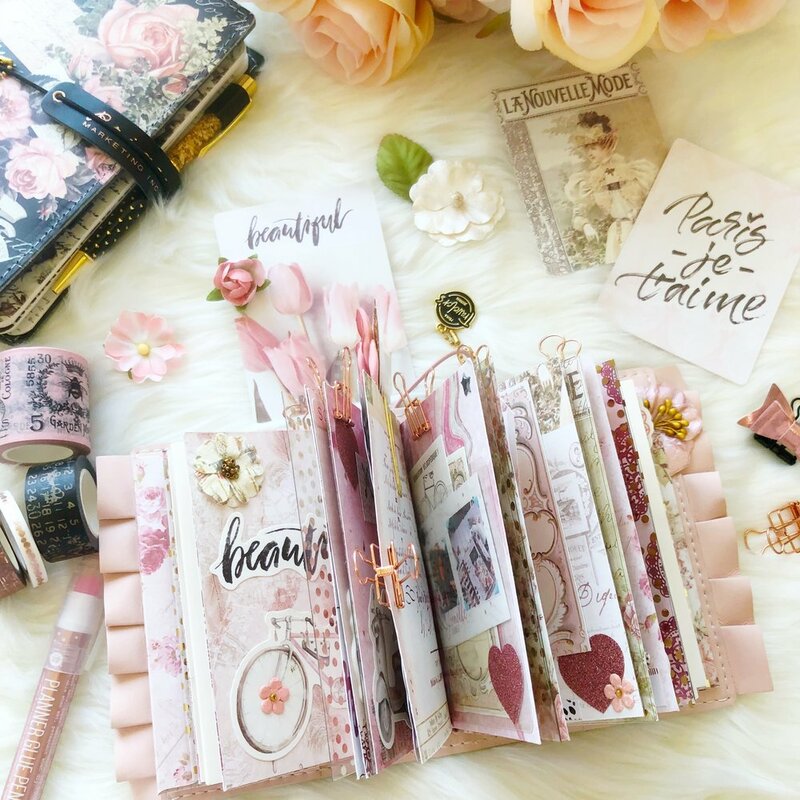 A Traveler's journals can be used in many ways from keeping it simple to decorating it and customizing it as much as you would like. 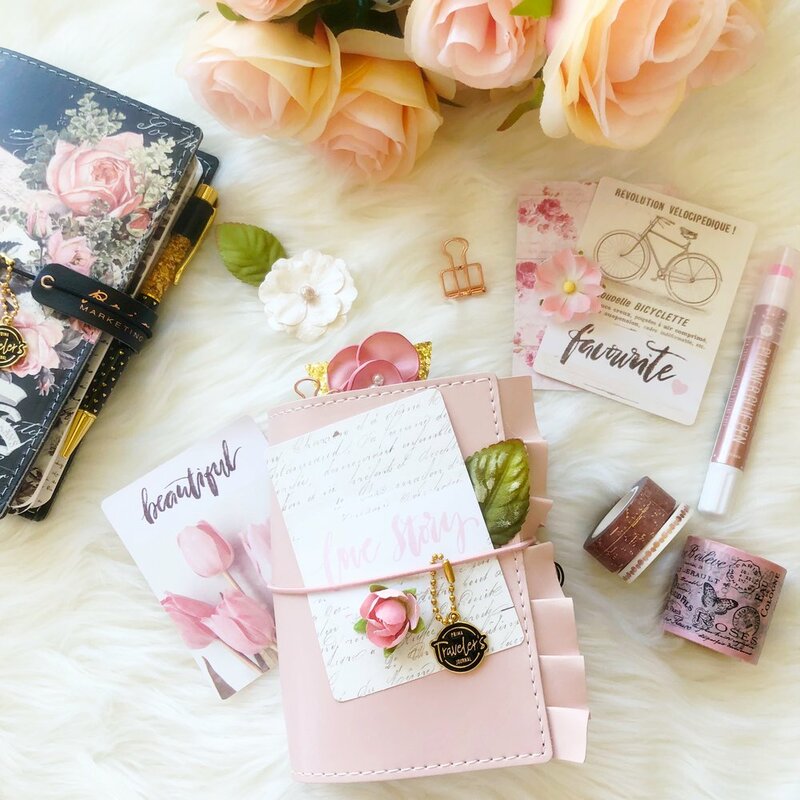 Jomelle customized her Passport Sophie travelers journal with many elements of the Love Story collection. Like a love story that never ends, the Love Story Collection by Frank Garcia embraces the beauty of friendship, bravery and eternal love. Featuring soft blush and pastel colors, modern lettering, this collection will truly make you fall in love over and over again. Jomelle created envelopes with the paper pads as well as notebook covers and used ephemera, stickers, journaling cards and even our flowers to decorate them. There is no right or wrong to personalizing your journals and creating something that you love and makes you happy. 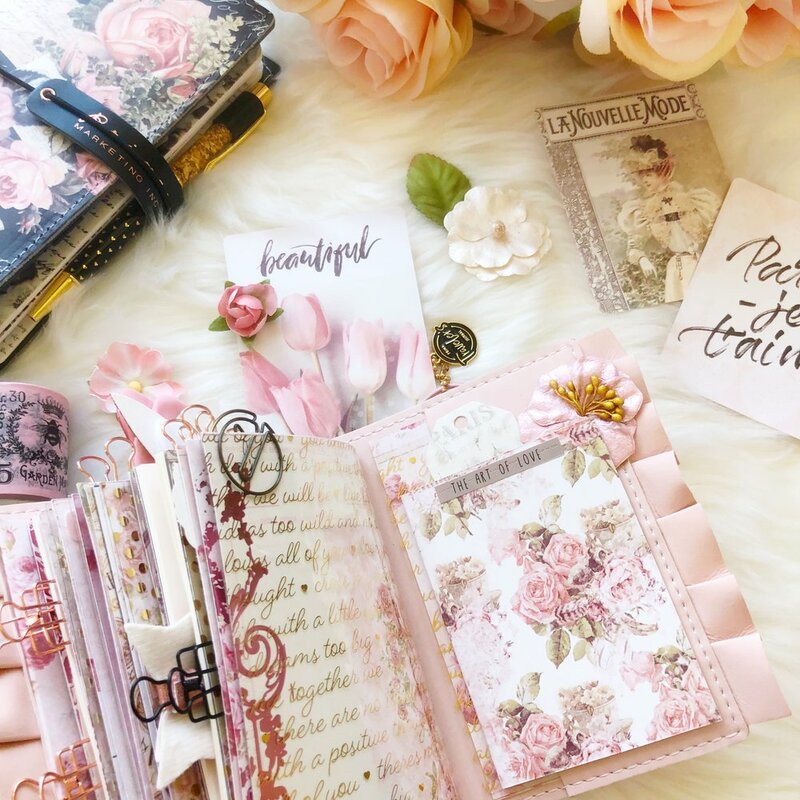 Pick your current favorite collection and try to decorate your journal ad you will see how fun it is and how much joy it brings. Hope you enjoyed seeing inside Jomelle's journal and that it has inspired you to get creative with yours. Don't forget to her some love by heading over to her account on Instagram @xoxo_jomelle.